People are beginning to care more about where their products come from, and the impact their choices have on animals and the environment. This includes the indirect impact of products that we buy, such as jewellery. One group of animals that is greatly affected by the jewellery industry is the cephalopod genus Nautilus. These animals are fished for their beautiful shells that are used as pendants and statement pieces, whilst the inside of their shell can be used as a pearl substitute. Nearly 1.7 million Nautilus shell products were imported into America over the past 16 years. 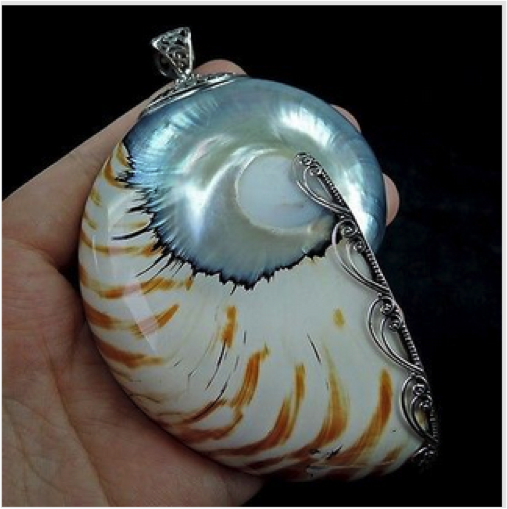 A genuine Natilus shell made into a pendant. Photo: savethenautilus. In a recent study, Vandepas and colleagues examined these amazing animals with the aim of understanding whether multiple morphologically distinct species were in fact a single species. Such information is important for conservation efforts, particularly when attempting to repopulate communities nearing extinction with individuals from a different location. Nautilus species were sampled from the Philippines, Australia, Vanuatu, Fiji and American Samoa. They live at depths from 100-600 m and have a maximum depth limit between 700 and 800 m, because at these depths their shell implodes. While they are widely distributed in the Indo-Pacific, they rarely swim far off the sea floor and have a maximum water temperature of 28 degrees. Their depth limit, preference for the sea floor and water temperature limits their ability to disperse to other populations and new areas. Two Nautilus in water. Photo: George Grall. Vandepas’ results showed that the majority of sampled populations were genetically distinct. This suggests that most of the populations were separate species, except those from the Philippines and Papua New Guinea, which were found to be closely related to populations from Western Australia. This meant that there was some breeding occurring between these two places and Western Australia. It was also found that 85.52% of the genetic variation in each population was coming from within each separate population, reinforcing the idea that many of the populations are separate species. Samples from Western Australia, Papua New Guinea and New Caledonia were found to be recently recovering from a possible bottleneck, which means that the number of individuals in each of those areas were low in numbers. These findings suggest that the populations are relatively isolated from each other resulting in populations being less diverse, as there is little breeding occurring between the areas. These results added new samples to the overall knowledge of the species and found that three different species may be subspecies of Nautilus pompilius. This information is vital to understand the future of this fossil species as local extinctions could be a real risk from fishing. 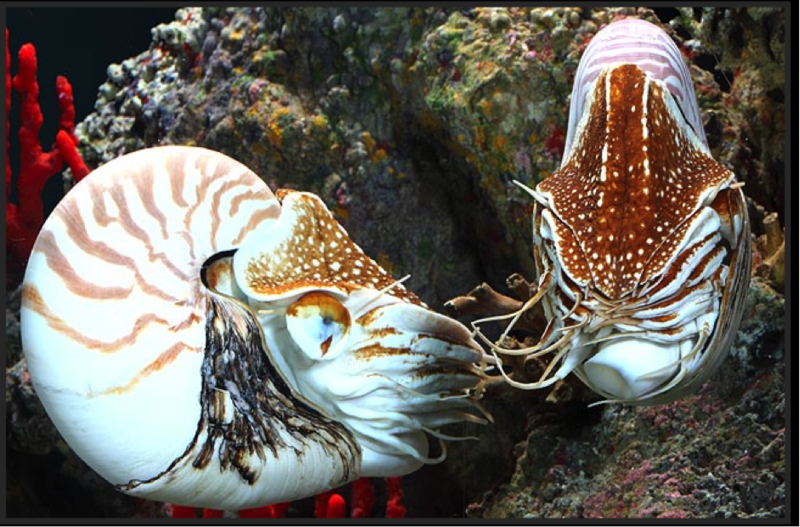 Currently, the companies that fish Nautilus have no rules or regulations meaning that many of the different species could become extinct or even inbred from dwindling numbers due to being overfished. This would mean that we may lose these animals which first appeared around 500 million years ago. A proposal has been made to the Convention on International Trade in Endangered Species (CITES) as to whether or not to add the family Nautilidae to the CITES treaty. This would protect these animals from being overfished by enforcing permits, and would ensure that the industry is closely controlled. This proposal will be determined later on this year. Microsatellites for Nautilus have only just been developed and they should be used to look at the genetics of these animals and how we can manage and save the species from becoming extinct. These genetic tools could be used to create conservation techniques and fishery managements. Future research could also include determining how many different species there are. Contributed by Mahalia Martin, student at Deakin University.